As a scientist and researcher, Morten Münchow believes in experiments having a cause and effect, and results that are black and white. In 2002, he recalls brewing a coffee in a small moka pot. While most coffee drinkers savour the brew and determine if they like it or not, Morten had a deeper train of thought. 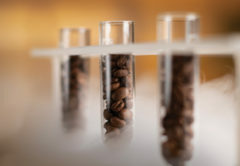 Thanks to a ‘coincidental connection’ with his morning brew, Morten used his understanding of chromatography, a technique used to separate a mixture of chemical substances, to explain the flavour succession of coffee brewing. His task was to take a complex subject matter and present to a non-academic audience for 45 minutes as part of his university course requirements. He used visual aids (Macromedia Flash) to describe how coffee flavour transitions, thanks to molecules of water which coffee comes in contact with, and its organic chemistry. His presentation was well received. Morten became hooked on exploring scientific theories of coffee, and he hasn’t stopped. An academic with a master’s degree in biology and philosophy, Morten has paved a science career with coffee at the core. From 2005 to 2007 he worked as a roaster with Kontra Coffee, and spent a few weeks behind the coffee machine at Cofé Europa as a barista to get a feel for the other end of the production chain. 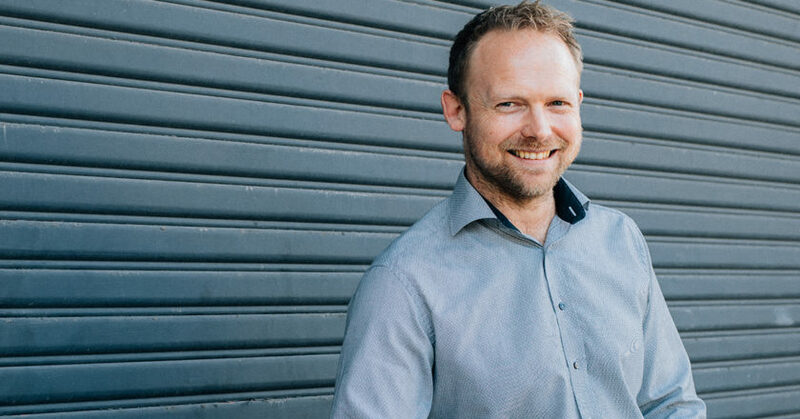 For the past four years – and counting – Morten has also worked as a part-time lecturer in the Department of Food Science at the University of Copenhagen. After two years in 2007, Morten started teaching at London School of Coffee, which he followed with consultant work, in what he describes as a career highlight. Coming home from a consulting job in South Korea, Morten saw a broader market with the same needs and issues when it came to coffee roasting, and developed teaching criteria to improve roasting processes. “I started by making an introduction to coffee roasting, then focused on the craft of roast master, how to grow a coffee roastery, and how to teach statistics,” he says. What most people don’t teach emerging roasters, Morten says, is what not to do. Morten says vision is something that should not only be addressed when starting a business, but evaluated constantly. “No one’s vision is ever the same. Spend time doing the boring stuff, like management and expenses, but then spend hours dreaming of where you want to go in the future, and plan,” he says. Morten adds that many new roasters will mimic the business structure of famous brands and rush into buying a roaster. 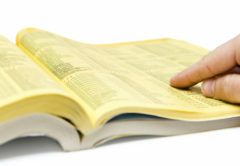 Very few do their research and look at how to lower the risk of failure. Morten says in order to maintain longevity, roasting businesses need to invest in building the right culture and systems, and spend more time “dreaming their personal dream” rather than seeking market opportunities. 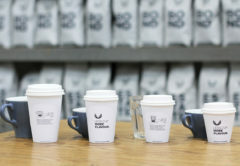 What excites Morten about this common scenario is the opportunity to help roasters reconnect with their calling and settle the technical and systemic aspects of their business so they can rediscover their dream. Morten says the difference between dreaming and planning is good old fashioned project management. Such advice is part of the consultancy services Morten provides at Coffee Minds, a Copenhagen-based Coffee Academy that focuses on educational coffee courses, research, and consultancy. Morten is particularly passionate about using cognitive training to improve sensory skills and roasting technique. In addition to helping roasters build their business and practices, Morten is committed to research. In 2009 he published one of the most recognised scientific papers to date, an analysis on cappuccino foam using a camera to track the dynamics of foam. Morten started to volunteer at the then-Specialty Coffee Association of Europe (SCAE) in 2013 and developed the new three-level system at SCAE (now Specialty Coffee Association) in coffee roasting certification. In its simplest form, Morten says coffee roasting is just “using a heat source and modulating colour versus time to achieve flavour”. However, without set curriculum it’s easy for roasters to focus too heavily on components that aren’t important. “[So] much time is wasted discussing opinions that might not be relevant or true. If there is no evidence to settle the discussion it can continue for years and will waste a lot of time for the community to be caught up in nonsense discussions,” he says. Morten is on his way to setting the record straight. He has completed more than 20 SCA research projects covering such topics as roast defects, water quality, processing methods, starter cultures, sensory science, roast degree preferences, and behavioural economics of consumer preferences, a topic he presented at Re:co in 2015. Morten says the Re:co talk was a bit controversial at the time because it showed that you can actually dissatisfy consumers by serving them high quality. Morten shared these sentiments when hundreds of industry members gathered at Toby’s Estate’s Knowledge Talks venues acoss Australia in February to hear him speak about his research. 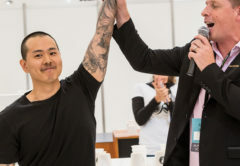 He captivated and challenged the audience’s perspective around science-based roasting and the importance of training to improve roasting and sensory skills. 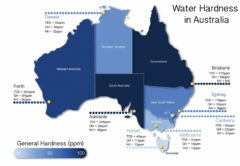 Australia has a thriving roasting community, but Morten says there’s still a need to educate a new generation of roasters, especially on the ranked order of importance of product development, quality control and product-consumer mapping. To assist, Morten anticipates a SCA Sensory Guild will form, but the challenge for now is teaching simple roasting skills and analysis. Morten’s future is entwined with coffee. He’s excited for the opportunities that lie ahead, including his biggest find to date on sensory and chemical aspects of roast profile modulation with the SCA, which is coming soon. He also wants to take an in-depth look at the relevance of differentiating organic acids in coffee, map consumer methodology and behavioural economics of coffee, and discover the relationships between roast profiles and the resulting sensory modulation of the coffee. Speaking like a true scientist, Morten says there’s still more to uncover. “The specialty coffee business is growing in size and also in the consciousness about the necessity of education, which happens to be where I sit in the coffee business,” he says.